Rochester Art Gallery is delighted to welcome prestigious artists back to Medway. A popular exhibition is being relocated, giving people even more opportunity to discover the rich history of one of the country’s oldest charities. 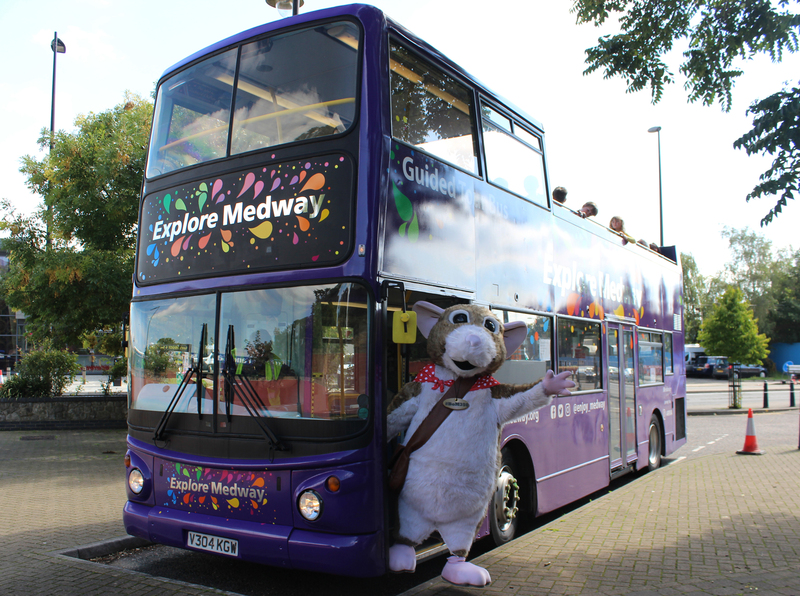 We have partnered with Arriva Buses to offer a summer guided tour bus around the sights of Rochester, Chatham and Gillingham. There’s less than a month to go until Rochester Castle Concerts returns with five nights of live music in the picturesque castle gardens. Medway Council has unveiled a commemorative stone which honours one of the most highly decorated airmen in British military history. Medway’s new Town Crier will make his first official appearance at The English Festival this weekend. A historic clock is back in its rightful place in the heart of historic Rochester. Did you watch Jimi Hendrix perform at The Central Hall 50 years ago? Fifty years after Jimi Hendrix performed in Chatham his brother will return to Medway to reveal the true story about the music icon. Residents encouraged to book tickets for a new concert at the Rochester Sweeps Festival next year. Oyez, oyez, oyez! Medway Council has appointed a new town crier. Residents are being encouraged to visit Paint the Town Festival at The Brook Theatre, Chatham, during October half term. With less than three months until the big day, The Central Theatre, Chatham was full of Christmas spirit at the launch of their pantomime, Sleeping Beauty, on Saturday, 7 October. The Brook Theatre in Chatham looks like the star of the show following an external facelift worth £415,000 – just in time for the build up to the festive season and annual Brook Christmas Show.